How Often Should You Go for Facial Treatments? Home/Beauty Tips/How Often Should You Go for Facial Treatments? Facial treatments are a way to pamper yourself and treat your skin to some tender loving care after being constantly exposed to irritants such as dust and pollutants flying around in the air. Skincare enthusiasts go for routine facial treatment at least once a month to help clear their pores out. However, the length and number of times you need to visit your skincare specialist or dermatologist vary depending on your skin condition and its needs. Just like our bodies, our skin needs to be pampered and taken care of regularly, and facial treatments can be one of the options to keep it glowing and to you looking fresh and youthful. To get you started, here are a few tips to help you understand and determine how often you should get a facial. How frequent you should get your facial done depends greatly on your skin type, skin condition, age and specific skin needs. A lot of skincare specialists often recommend a facial treatment every thirty days—this is the minimum number of days your skin will start shedding. Why is it important to consider my skin type and skin condition before getting a facial? The most vital step to take into consideration before availing any type of facial is to note down your skin type and condition. From here, you will know what your skin needs the most and which areas need the most attention. There are various treatments like acne facial or anti-ageing treatments available for specific skin types, and it is best to know what you are lacking. Wrong facial treatments can be hugely disadvantageous to your skin. Knowing your skin type and condition is the best way to navigate yourself through various facial treatments and what will work best for you. 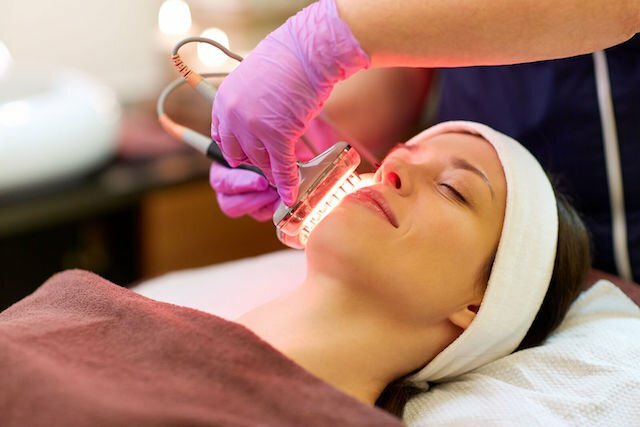 There are a lot of types of facial treatments and not all have the same value or prices. Some come in packages while some are priced individually. Most aesthetic clinics also offer promos where you can make the most of your money. However, if you think that you are not in the position to splurge on facial treatments every thirty days, the best option that you can do is to invest in quality skin care products and get facial treatments every sixty to ninety days. While a facial is good for the skin, going overboard is definitely a big no-no. An excessive number of facials or treatments of more than once a month can harm the skin. This is because you are not giving your skin enough time to recover after the treatments, and excessive facials can also make your skin acclimatised to the procedure. When your skin gets used to the procedure, the chances of the treatment being effective the next time you have it gets lower. It can also harm your pores which can lead to excess sebum production and an enlargement of your pores. So, remember to only go for facial treatments every once in a while to avoid harming your skin!